Cytral stared at those of us remaining in Freeform Industries’ Directorship; the number was far less than it had been a month ago. There was a heavy, somber mood filling the meeting room; morale had been low, corporate activities few and far between. Cytral refused to admit it was the end, rather, it was an opportunity for rebirth, to build up the corp anew. Cytral always was the eternal optimist. His attitude was infectious however, and several of the remaining directors were hopeful for better times. I was not one of them. “Ok, we’re going to need to start cross-training to fill the gaps we’re experiencing, meaning we all may have to do things we’re not entirely comfortable with.” Cytral started. Everyone looked to me, enthusiasm in their eyes. Cytral nodded. “Alright then. What about assisting Freyla with our mining operations? It’s overwhelming her a bit, and I’m sure you’d enjoy some more Freyla time.” He smirked, and the rest of the directors chuckled. Freyla Tae was indeed someone I had flirted with since joining Freeform. Then again, so was Cytral until I discovered that despite his soft features and silky hair he was really a guy. Freyla had never responded to my flirtations (though Cy had initially), whether out of awkwardness or simply understanding it was meant lightheartedly I never knew. Besides, my heart was placed elsewhere. Again, I shook my head emphatically. “Never even strapped a mining laser onto a hull, Cy; to me that would be an abomination. I fly combat ships. Can’t we just send out some drones for that mind numbing work?” I asked sarcastically. Cytral sighed. “You’re not making this easy, Roc. We need the help. I need the help. It won’t be permanent; I just need you to roll up your sleeves and give a bit more. Can you do this for me?” Cytral was always one to bear open honesty without ulterior motive. Some misread it as manipulation through guilt, but that wasn’t it. He was just a guy that didn’t like to play games. I respected that. “What else you got, boss?” I asked. “Well, what about taking on a more active role in the corporation? I could promote you, give you a fancy title, grant you administrative rights over our hangar bays and monthly managings. That has to be something that interests you, no?” He was starting to sound a little annoyed. Who wouldn’t want more power and influence within a corporation, to be handed the keys to the kingdom so to speak? I genuinely felt bad at what I said next, but the words were meant. Cytral stared at me, unblinking, for several moments. I wasn’t sure if it was disappointment I saw, anger, or simple acceptance and processing of what I had said, but the growing silence was becoming awkward. “Alright, we’ll come back to how you can help, Roc. Anyone else willing to…” Cytral’s voice began to fade to my ears. It wasn’t that I didn’t like Freeform; they had done so much for me and were all wonderful people. I really was just starting to feel that I had outgrown the corp, that my place was elsewhere, that there was more out there for me. Taking on added responsibilities here would just stifle me, tie me down to a commitment I would honour yet retain bitterness and resentment towards. I didn’t think that was healthy for any of the involved parties. The words of Shakor and Gigaer came to my mind again, words I have heard from many others throughout my life, Live up to your potential. Such a simple sentence, such a daunting life long endeavour. Maybe one day I would be in a position of power and authority; maybe one day I would be a senior director of a corporation; maybe one day I would be a miner or an industrialist, but not today. 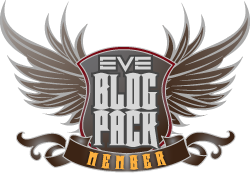 I am Keith Neilson, EVE Blog Banter #7 – What do you want to do today? Wow, I never even considered the industrial side of things when I was coming up with my three. I think that might say a worrying amount about the way I look at Eve. Another great post, mate. We shall have that fight soon enough! I hate to say it, it will tarnish my in game reputation forever. My first Armdageddon was fitted with mining lasers. Very original entry to blog banter #7, nice read :). You’ve never faltered in your delivery of these banter posts. Well done Roc. We all struggle to live up to our own ideals, and those of the ones we care about.